Most people are surprised when I become more interested in the bugs in their gut than I am with the amount of calcium they consume. They have no idea that bugs could have anything to do with bones…but they do. In the Journal of Bone and Mineral Research Sjogren et al. (2012) report how gut microbes are major regulators of bone mass in mice. Let me explain. 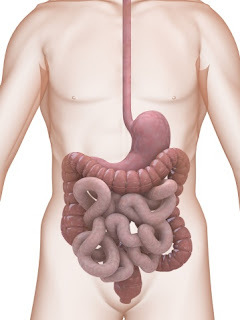 Eighty percent of the body’s immune system is located within the walls of the gut. 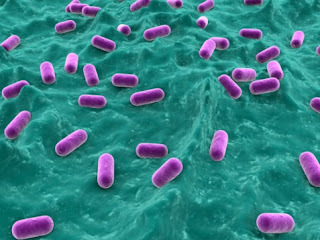 This makes sense since we are constantly consuming food that may harbor harmful bacteria. By locating the immune system within the walls of the gut we are able to destroy these bacteria before they have a chance to harm us. This is good. 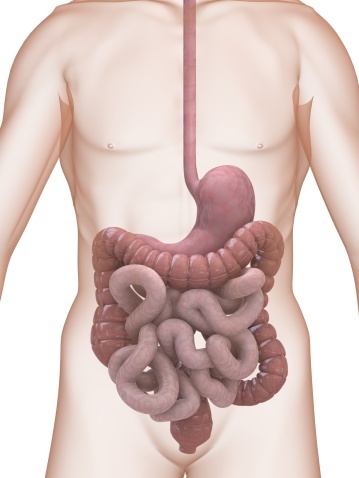 But when a person’s gut is unhealthy, the immune system can produce a lot of inflammation and with it copious amounts of inflammatory signaling molecules. One of the connections between the immune and skeletal systems is that they share many of these same signaling molecules. So when signaling gets out of control with a chronically hyperactive immune system within the gut, these molecules find their way into the bone marrow. Here they alter the balance of bone remodeling activity. The more signaling molecules, the faster the bone resorbing osteoclasts destroy bone. Gut microbes are responsible for maintaining a calm immune response; they also have major a influence on the level of inflammatory signaling molecules that circulate throughout the body. The more good bacteria you have in your gut, the less circulating inflammatory signaling molecules. Researchers have now linked the over production of these molecules to the aggressive bone loss that leads to osteoporosis. Sjogren et al. showed that when laboratory mice were bred for digestive tracts free of any bacteria, the mice exhibited an abnormal increase bone density. Their bone mass actually became excessively dense. What these scientists found was that mice with no bacteria in their gut had fewer osteoclasts (bone cells that break down bone) in their bone and fewer T cells being made by their immune system. With fewer immune T cells, the mice weren’t producing the signaling molecules that would also activate osteoclasts in bone marrow. The result, higher bone mass. When the researchers then put normal gut microbes back into the digestive system of these mice…what happened? The mice LOST bone density, but not so much that they got osteoporosis. The mice lost just enough that their bone density became normal! The mice went from having too much bone density when they didn’t have any bacteria in their guts, to normal bone density when the gut was more healthy with good bacteria. By using a model of mice with no bacteria, the researchers were able to demonstrate how bacteria directly affect the release (or no release in the case of mice free of bacteria) of inflammatory signaling molecules. In summary, gut bacteria are extremely important for maintaining a healthy immune system and in the regulation of bone mass. Eating a healthy diet high in fiber and low in refined sugars will help maintain good bacteria in the gut. If you have a history of antibiotic use talk with your health care provider about supplementing with probiotics. Sjogren et al. 2012 The gut microbiota regulates bone mass in mice. Journal of Bone and Mineral Research 27(6):1357-1367.